Kindness is one of the best possible treasures one can flaunt. It is the most powerful weapon in this world and can do wonders. A kind heart can act strongly against all the woes in the world like misunderstanding, mistrust and hostility. 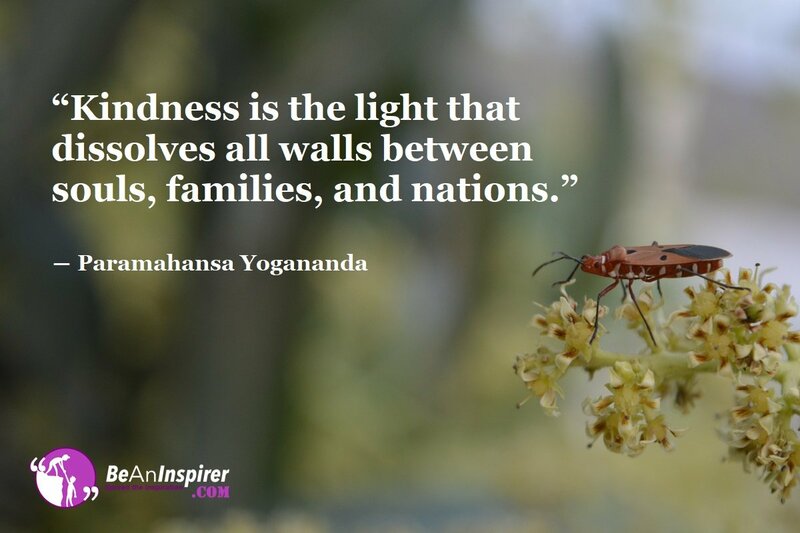 Kindness acts very strongly against all these ill habits and can help to make this world a better place to live. Kindness acts like a eliminator of all such harmful things that exist in this world and provides peace to everyone’s mind. Doing good at personal level is the best possible step one can take in making this world a better place. One might always consider that his act is very minimal for bringing about a serious change but he should never forget that drops of water when added are ample to form an ocean. If a person fills his heart with kindness and does only good to others, he can serve as a great contributor for bringing about a major change in this world. Kindness in the hearts can lead to making even the toughest of the tasks in this world possible and can be very helpful in making everyone happy. Indeed, a man is known by his deeds. If he has the required courtesy, he can achieve the ultimate level in friendship. Similarly, if he has kindness in the heart, which is one of the best possible treasures he can gather love from all the people surrounding him. As is a tree known by its fruit, similarly a person is known by the behaviour he has and the work he does. If a person commits only good deeds, he can surely lead towards making the world a better place to live in. Kindness in the heart can help in making relations smooth and hassle-free and can lead to an increased compassion within everyone. It is everyone’s duty to treat others with compassion and politeness. If a person is successful in doing this then he can be a strong contributor in making this world a better place to live. If a person handles his behaviour to other people in an effective way, it symbolises his greatness. In fact, this very fact should be a strong motivator to the people to manage their behaviour towards others. One should strive to own the best possible treasures and sport a polite and kind behaviour towards other people, not because the other people are nice but because the person concerned is.